Complete parameterised, suitable for any organization. Reduction in data entry. 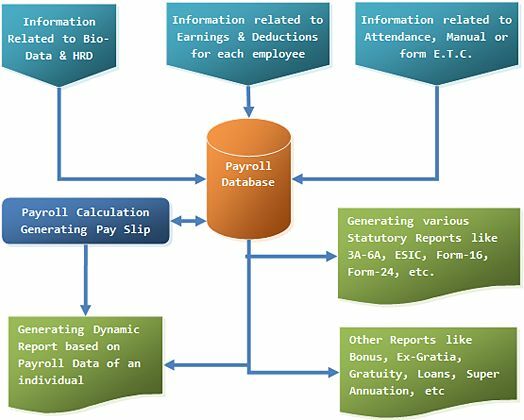 Formula based payroll calculation with facility of 999 earning and deduction heads. Virtually no need to customize. All challans and forms required, comply to statutory requirements, including form-16, 24 and 12BA with E-TDS. Maintaining record of employee details including job related details, qualification, work experience etc. Formula based grade wise / designation wise location wise / employee wise salary structure. Payroll calendar - working days / payment days. Leave entitlement details for each employee. Full attendance transfer to mark 'present' for entire month and update leaves later to reduce data entry. OT tracking and approval and processing. Loan structure update in finance based on installment plan (Reducing Balance / EMI Method Provided). Posting of salary details in financial ledger. Employee history - promotions, transfers, salary increments. Uploading of attendance from various attendance-recording machines. Full and final salary processing in event of employees separation (Under development). Income tax reports Income tax register Tax computation reports Form 16, Form 24, Form 12BA.